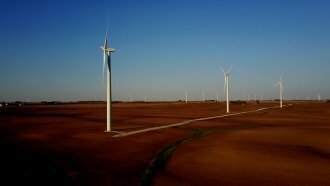 Wind energy is bringing jobs and money into long-forgotten corners of rural America. The industry is widely popular in Iowa, where surveys have shown a vast majority of voters at the state and district levels are in favor of the industry. In this debrief after the second episode of Newsy's series "Revolt," reporter Zach Toombs and producer Kate Grumke discuss their experience reporting from factories and farms in rural Iowa.